Citation: Ducato, Rossana (2018), House of Terms: Fixing the Information Paradigm with Legal Design. Poster presentation at BILETA Conference 2018 “Digital Futures: places and people, technology and data”, University of Aberdeen, 10-11 April 2018. How many times have we checked that box without reading the Terms of the Service (ToS)? According to the Eurobarometer Special 447 on online platforms (2016),we are not an exception since this attitude towards ToSis common among Europeans (56%). Despite mandated disclosures are the backbone of the EU consumer protection, very few users pay attention to the information that is provided to them in their online experience. Several cognitive studies explain the reasons of such a behaviour: ToS are often long, badly written, and full of legal jargon; at the same time, individuals often suffer several forms of bias and degrees of illiteracy. Therefore, some users may find quite hard to read and fully comprehend the basic conditions of the agreement and/or its legal consequences(such as the identity of the counterparty, the rights and remedies available, the allocation of responsibilities, the fairness of the clauses). Other users, instead, may decide to “click” without reading because of the impossibility to negotiate those terms. Therefore, the current state of implementation of the information duties as well as the fact that the real consumers are different from the rational one (envisaged in consumer protection legislation) are the two main reasons why the so-called information paradigm is failing its policy goal. My research hypothesis is that smart disclosure mechanisms may help to fix this failure. In the poster, I will present the theoretical background and the preliminary results of the “Awareness by design app”, developed within the project “The Internet of Platforms: an empirical study on private ordering and consumer protection in the sharing economy”. 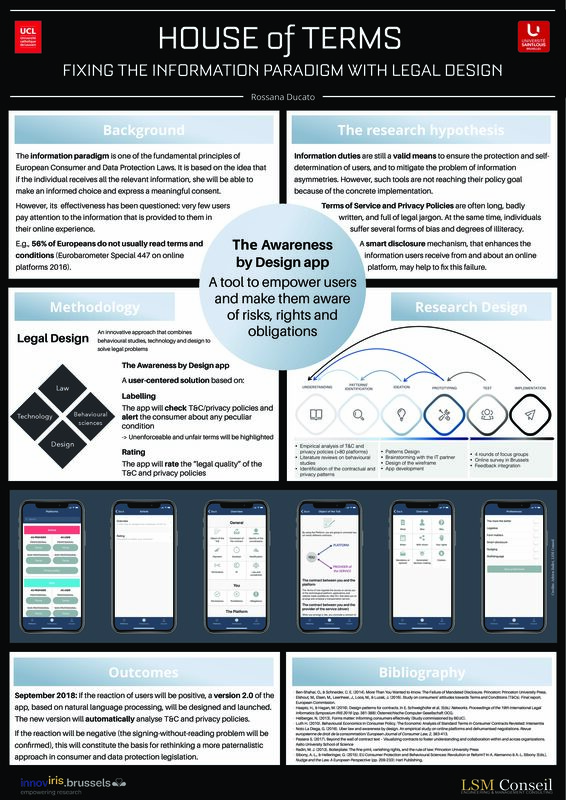 The methodology for this research is based on legal design, an innovative approach that combines behavioural studies, technology and design to solve legal problems. 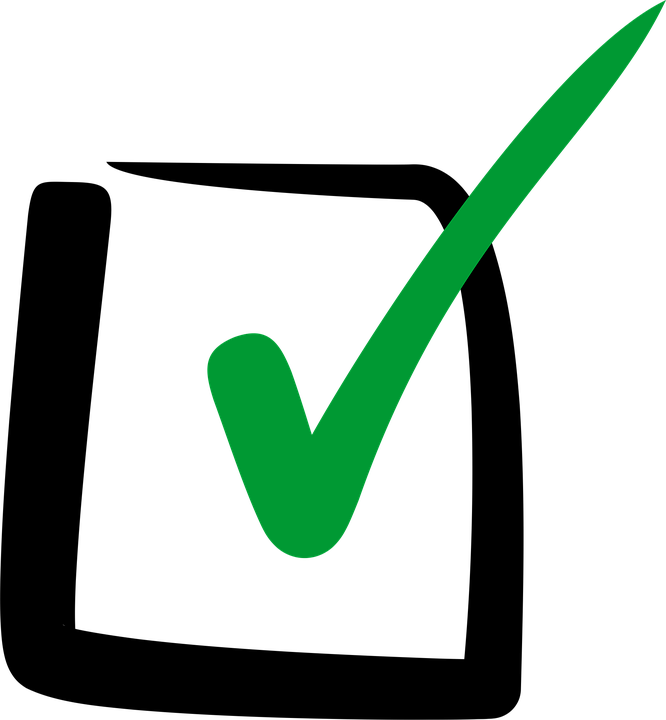 The proposed app will enhance the information users receive from and about the platform, thanks to visualization and the combination of two different behavioural strategies: labels and ratings. On the one hand, the app will inform the user about the key conditions of the platform’s terms through icons and short texts; on the other hand, the app will provide a score system to rate the quality of the conditions. The research is based on the empirical analysis of a representative set of digital platforms operating in three different sectors (transportation, accommodation, food) and the app is being tested in Brussels.